Member of the Society of American Travel Writers (SATW) and the North Carolina Golf Panel. Patrick Jones is an award-winning freelance golf writer. Patrick currently serves as Editor/Lead Writer for Golf Daily, providing features on travel destinations, equipment reviews, industry issues and general commentaries. He is a member of the North Carolina Golf Panel, a committee of golf industry professionals, media members and business leaders that plays and annually ranks the state's top golf courses. Feature writing links are primarily PDF files. © Reuse of any of this copyrighted material without express written consent is strictly prohibited. Golf. All Day. Every Day. Is the game lost at the modern country club? Humor essay: The best golf trips don't always revolve around where you go but who you go with. The title of James Taylor's iconic song sums up the particular attraction of the state of North Carolina, home to Pinehurst and a wealth of other golfing options. Once witnessed in all its stunning beauty, North Carolina will never be forgotten. Georgia is home to The Masters and Bobby Jones. Travel the state from Atlanta to Savannah, not to mention from Ty Ty to Enigma. Savor all the side trips and fare that the Peach State has to offer. Arnold Palmer continues to bestow his gifts, gratitude and genius on North Carolina a half century after he wandered into the state as an accidental student. Tom Glavine is on his way to Cooperstown with 300-plus wins and a pair of Cy Young awards. The crafty lefthander is back with the Braves in the twilight of his Hall of Fame career. Dan Marino, like Arnold Palmer, is a Pennsylvania kid made good. Both have risen to the top of their respective athletic professions and continue to remain active in their sports after their Hall of Fame careers have ended. Tiger loves them, you're scared of them. But if you can hit one, a long iron can do serious damage to your opponent. Richard Sykes, coaching the North Carolina State Wolfpack for the 38th straight season, tells you how to stripe them. A pair of PGA Master Professionals tell you how to maximize your available practice time. Balsam Mountain Preserve head golf professional Brian Chapman offers tips on getting out of the rough stuff. Golfers are generally an intelligent bunch, but when it comes to practice, most tend to pull out the driver and ignore the wedges and putter -- scoring clubs that lead to a better game. Innsborok's head pro Martha Faulconer can't give you Arnold Palmer's distinctive rocket off the tee, but she can offer a few tips on developing a drive of your own. Patrick Jones, golf writer and member of the North Carolina Golf Panel, provides a unique first-person take on the newly renovated Bald Head Island Golf Club. 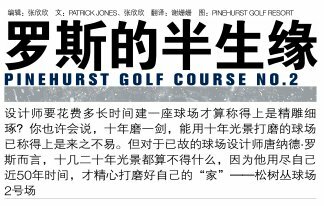 Patrick Jones provides international readers with insights on Pinehurst Resort and the Pinehurst No. 2 golf course, scheduled to host the men's and women's U.S. Open golf championships on back-to-back weeks in 2014. A giant wave -- retiring Boomers -- is approaching the golf-rich Middle Atlantic States. Temperate weather, coastal destinations, mountain getaways, stable economies and great golf are an alluring combination. 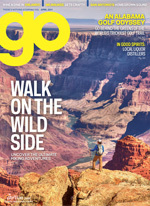 GolfStyles is the country's largest family of regional golf publications with editions in Atlanta, Boston, Washington D.C., Philadelphia, Ohio, New Jersey and North Carolina with a combined circulation of 330,000 per issue. Patrick was the Senior Producer for ESPN's "Lower Your Score With Tom Kite" CD-based instructional golf training series. Worked closely with 1992 U.S. Open champion Tom Kite and sports psychologist Bob Rotella during 18-month product development process for "Lower Your Score with Tom Kite" instructional golf training series. Charlie Yates Golf Course - Who was Charlie Yates and why does he have a course named after him? 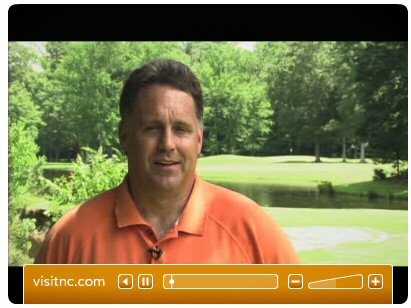 visitnc.com golf writer Patrick Jones discusses North Carolina's "Dream 18" golf holes that you can play. Contribute monthly features highlighting golf, resorts and spas, and other recreational opportunities across North Carolina for the state's official tourism Web site. The site received more than 7 million visitors in its most recent year. The Web site is also available in German (www.northcarolinatravel.de) and United Kingdom (www.northcarolinatravel.co.uk) versions. 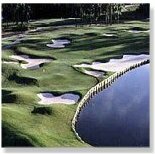 Patrick is a member of the North Carolina Golf Panel, a committee of golf industry professionals, media members and business leaders that plays and annually ranks the state's top golf courses. Golf feature: "Green" Golf in N.C.
LinkedIn golf writer profile. Member of LInked Golfer network. Home to the PGA Tour's Wachovia Championships, the Quail Hollow Club in South Charlotte has undergone major transitions since its inception in 1959. Leaving your golf bag outside while going into the snack bar may be the most expensive beer that you will ever buy. You may already know the picturesque sights of Wilmington -- North Carolina's historic and serene port city -- even if you have yet to book a visit. With hundreds of feature films and television shows to its credit, some have chosen to dub the town Wilmywood. Oregon is gaining credence as a fruitful alternative to Napa and Sonoma valleys for impassioned West Coast travelers seeking a wine-filled getaway. The heat will be high as Charlotte, host of the 2012 Democratic National Convention, entertains the nation's top politicos. Escape the sometimes oppressive humidity -- and partisan rhetoric -- with a quick side trip to the appropriately liberal mountain city of Asheville. Furniture maverick Mitchell Gold, founder of Mitchell Gold + Bob Williams furniture design company, has built a $100 million per year business and a 14-carat home to match. 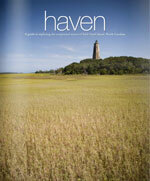 A nationally circulated magazine that focuses on exclusive second homes and other high-end real estate. Circulation is 200,000 per issue. The Blue Ridge Mountains showcase an abundance of views and gorgeous homes. North Carolina's Outer Banks brings people in with its many real estate options and gorgeous coast. Return to top of golf writer page. Dr. Mitzi Montoya sometimes spends her days roaming through virtual worlds. These computerized artificial environments, where our online alter egos are represented in 3-dimensional avatar forms, are not as futuristic as you might think. Major technology companies use virtual worlds to bring together their global workforces for online meetings, and collaborative education and training among other uses. Return to top - Freelance writer Patrick Jones.